I've decided to give my makeup room/office/girl cave an overhaul for the new year. 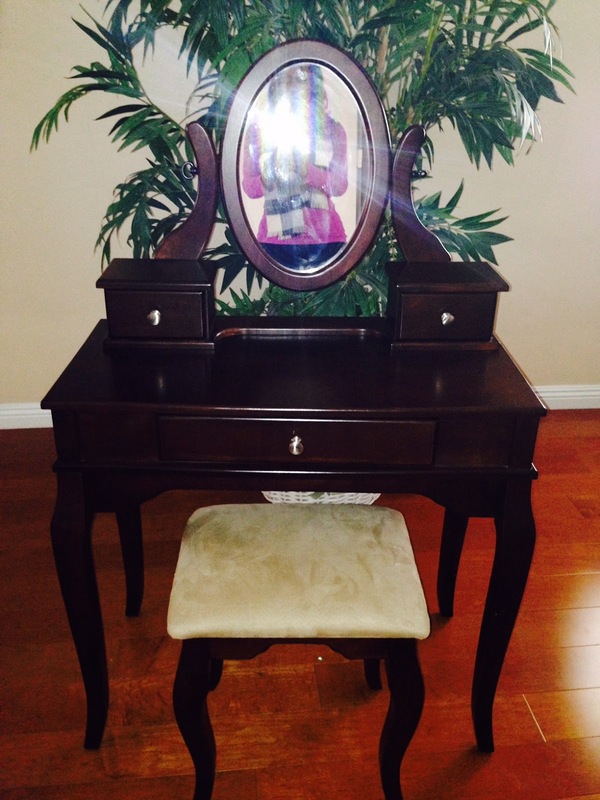 The first thing I did was purchase a new vanity (my old one was falling apart). I needed cherry or mahogany to match my office furniture sitting on the other side of my room. I found this one on Craigslist for $100 and it was in perfect condition. 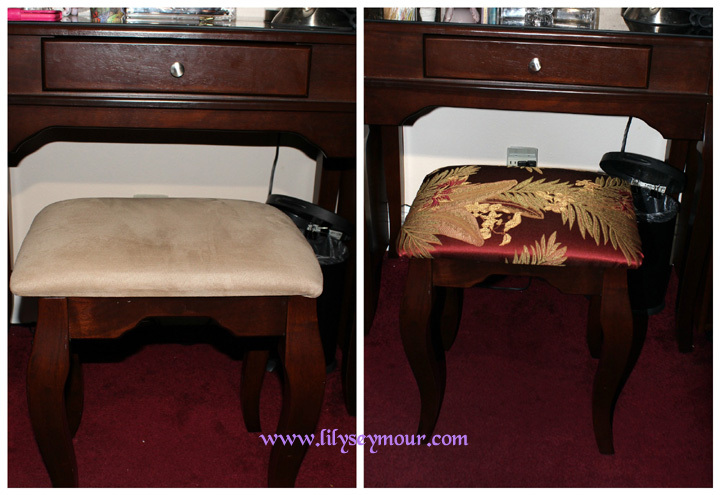 After that was done, my next task was re-upholstering the vanity stool. Lastly, I am going to re-upholstering the round ottoman that sits in the center of my room (I use this for meditating) and add a box valance window treatment using the same fabric. 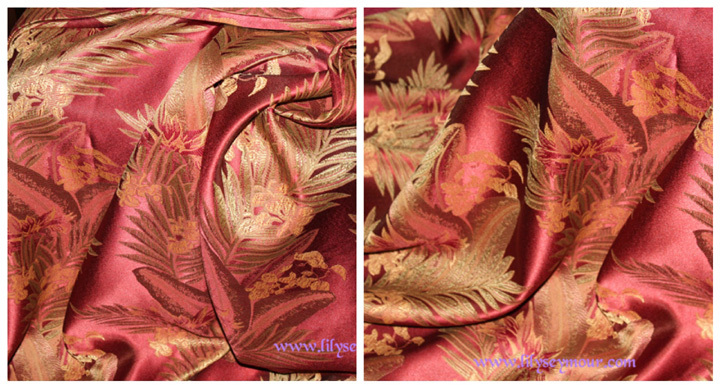 I bought seven yards of this brocade fabric from the garment district downtown Los Angeles. I got a very good deal. Brocade is very expensive because it's used mainly used for drapery and fancy bedding. There was 9 yards at 60" width left on the roll, he gave it to me for $8 a yard, marked down from $25 a yard. Stay tuned for more DYI projects and the completion/tour of my makeup room!